The whole grains for diet are foods of high nutritional quality that contribute benefits to the health and corporal weight. Being the main source of complex carbohydrates, they are essential in any balanced feeding plan. Unlike refined ones, they keep all their dietary fiber because they have not been modified by chemical processes. In addition, they are better assimilated in the body, since they facilitate digestion and avoid high peaks of blood sugar. Best of all, they are easy to incorporate into the daily diet, as they are versatile and their flavor is easily combined with other ingredients. As if that were not enough, they prolong the feeling of fullness and help to avoid that “pecking” that makes overeating. Although the market is invaded with refined products that are very attractive, more and more people are opting for whole grains for the diet. These foods are more complete from the nutritional point of view and provide important benefits. Do you know them? Oats have stood out as one of the most complete and nutritious diet cereals. It contains more protein than other varieties of cereals and, in turn, is a source of dietary fiber, minerals and “good” fatty acids. Due to its contribution of slow absorption of carbohydrates, it is an energetic food that improves physical and mental performance. In addition, by facilitating the control of blood glucose, it is beneficial for those at risk of diabetes. For its protein content and omega 3 fatty acids, the wheat germ is one of the best supplements for a healthy breakfast. These essential nutrients help protect muscles, optimize brain activity and decrease inflammation. It should be noted that it also contains vitamins B and E, necessary to regulate the metabolism and activity of the nervous system. Added to this, it is a source of mineral salts that help maintain a balance of cardiac and renal functions. In the list of whole grains for diet, barley stands out as an ally to control high cholesterol levels. This property is attributed to its contribution of tocotrienols, fat-soluble substances that are associated with vitamin E.
After being assimilated into the organism, they block the hepatic production of bad cholesterol (LDL), increasing the presence of good cholesterol (HDL). Likewise, barley supports the control of constipation and slow digestion due to its contribution of soluble fiber. Most people consume white rice in their regular diet, as it is easier to buy on the market and tastes delicious. However, this version loses up to 75% of the nutrients when compared to brown rice. The latter not only retains all of its fiber but also provides B vitamins, antioxidants, and minerals such as magnesium. In addition, it is an important source of complex carbohydrates, necessary to provide energy to the cells. One of the whole grains for diet that are suitable for patients with celiac disease is buckwheat, also known as buckwheat or buckwheat. Although not as well known as the previous ones, it is distinguished because it is full of minerals, vitamins, and fiber, and it does not contain gluten. Including it in the regular diet plan helps maintain good digestive and nervous health. Similarly, it creates a barrier against free radicals and decreases the risk of premature cell aging. Cornflakes are whole grains for diet that can be included in breakfast or snacks. They are distinguished by providing slow-absorbing carbohydrates, which increase energy expenditure and regulate glucose levels. They also contain high-quality proteins that improve muscle and heart health. In passing, its fiber and antioxidant contributions optimize digestive health and protect the gut microbiota. Whole rye provides only 100 calories per cup and concentrates significant amounts of soluble and insoluble fiber. Therefore, including it in the diet supports the control of high cholesterol and prevents disorders such as constipation. It is also recommended for weight loss plans since it curbs the anxiety of eating sweets. While it is not miraculous to reduce kilos, it is a good complement to achieve better results when following a diet. 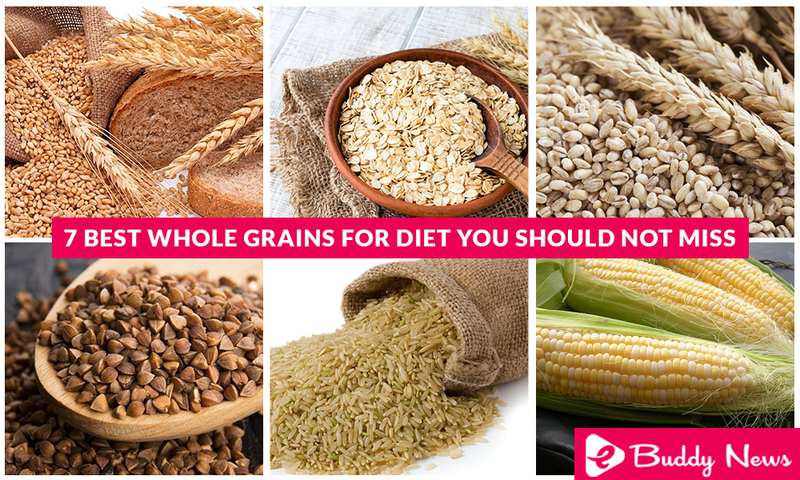 In summary, whole grains for diet are complete foods that promote general well-being. Your contributions of carbohydrates help maintain a good energy level and optimize the regulation of glucose.